FAYETTEVILLE, N.C. – As the SPHL season quickly approaches, the Fayetteville Marksmen officially announce the launch of the Marksmen Radio Network, fans’ home for all live Marksmen broadcasts. 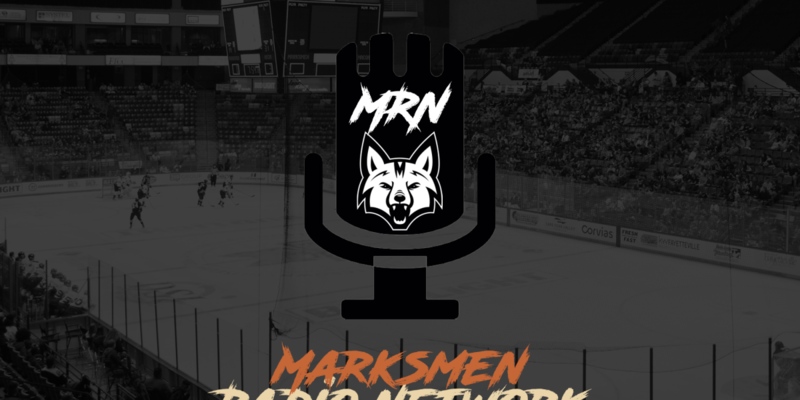 The Marksmen Radio Network is the first of its kind for the organization, and will work congruently with the league’s video streaming partner of Neulion, which provides live video and audio of every single SPHL game. All 56 home-and-away Marksmen hockey games during the course of the 2018-19 SPHL season will be broadcast live on MarksmenRadio.com by Director of Digital Marketing and Media Shawn Bednard. The broadcasts will feature a 30 minute pregame show, intermission shows, and a post-game show to accompany the in-game broadcasts. As well as the Game Day broadcasts, the network will also be home to the weekly Marksmen Coach’s Show, hosted by Bednard featuring Head Coach Jesse Kallechy, as well as other players and coaches of the organization. The show’s name and venue are TBA. Bednard expressed great excitement in launching the network. The Marksmen Radio Network becomes the latest proponent underneath the Marksmen Media Network, which will feature video-and-audio highlights of every single game of the season, as well as exclusive behind-the-scenes features on players, the organization, interviews with players and coaches, and the game day experience from every angle. Advertising opportunities are abundant for community organizations and businesses who want to partner with the Marksmen, but may not have the budget to become a corporate partner. With 56 games in the season, plus a weekly coach’s show, the exposure is massive. If you’re interested in hearing more about the advertising options and benefits, please email Shawn at SBednard@MarksmenHockey.com. For more information on broadcast scheduling and on-air events, head to the Marksmen Radio Network Home. The 2018-19 Marksmen Home Opener is October 19th against the Roanoke Rail Yard Dawgs, and Opening Night tickets are on sale NOW! If you’re interested in partnering up with the Marksmen organization, or hearing about our season ticket packages, group packages, mini-plans, or advertising benefits in-arena or with the broacast, email Director of Digital Marketing and Media Shawn Bednard, SBednard@MarksmenHockey.com or call the Marksmen Office at (910) 321-0123. Follow the Marksmen on Facebook, Twitter, Instagram, and Snapchat for all the latest news and information surrounding the team. Search and follow “Marksmen Hockey” for behind-the-scenes content, player and coaches interviews, and much more!